The publicist for multi award winning gospel musician Joyce Blessing, Jullie Jay-Kanz , has revealed that working with the gospel singer has influenced her spiritual life. 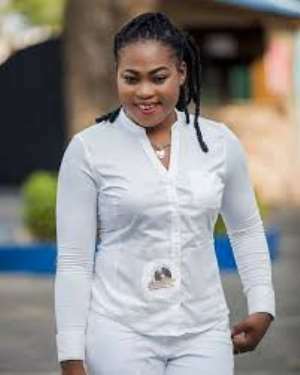 Talking to the show host Nana Kwesi on the ‘BigShow’ on Accra based Class 91.3 FM on Saturday 13th April,2019, Jullie noted that Joyce Blessing has drawn her more closer to God by taking her to Church and involving her in prayer sessions at home. "I used to be a reggae dancehall blogger before I met Joyce Blessing and going to Church was difficult for me but Joyce has eventually changed me because she is very prayerful and she involves me in her daily prayer sessions being part of the management team , She has really being a blessing to my life, ” Jullie revealed. The award-winning female blogger and publicist was on Class FM to talk about the new weekly chart on hello-gh.com which is set to be outdoored this Friday 19th March 2019.